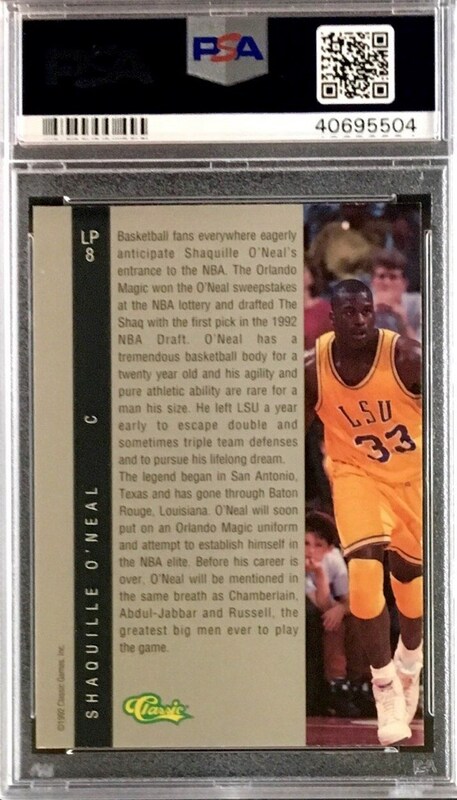 Up for your consideration is a 1992 Classic 4 Sport Limited Print #LP8 Shaquille O'Neal Rookie card. 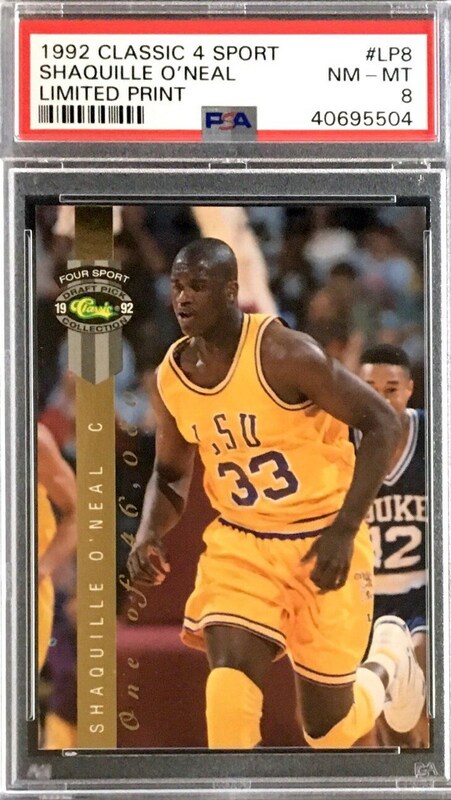 Shaq is widely considered one of the greatest players in NBA history. The card has been graded a PSA 8.